Recovering From a Herniated Disk After a Car Crash | Hupy and Abraham, S.C.
How can I recover from a herniated disc after a car accident? After a car crash, your recovery can be divided into two different categories: your physical recovery and your financial recovery. It is important to act quickly to protect both your physical and your financial recoveries, but before you can act you need to know what steps you should take. Oral medications. This could include drugs for pain relief or to treat inflammation. 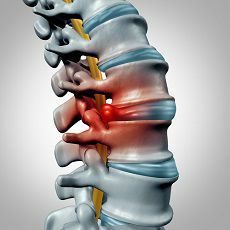 The course of treatment and prognosis is different for everyone who has suffered a herniated disc in a car crash. Some people begin with conservative treatments such as medication and do not need further intervention. Other people may require more invasive treatments, such as surgery, and live the rest of their lives with some discomfort, pain, or disability. As always, you should talk to your doctor about the type of treatment that is right for you and about how long you should expect each type of treatment to last. As you know by now, a herniated disc can have a substantial impact on your life. You may be unable to earn an income, to take care of your family and home, or to do the things that you enjoyed prior to the accident. If someone else’s negligence caused your crash and your resulting injury, then you deserve to be compensated for all of these losses and for your past, current and future medical expenses. However, in order to make a fair recovery, you will have to fight for it. You will need to negotiate a settlement with the insurance company or be successful in court, but you don’t have to do it alone. Instead, you have the right to work with an experienced lawyer who will fight for your recovery. Please start a live chat with us now to learn more.